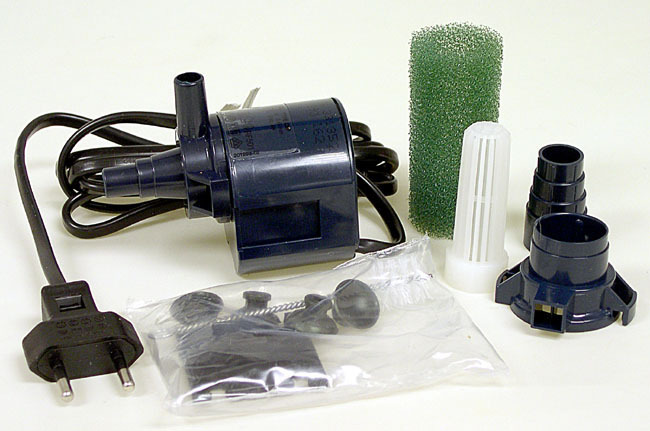 Our Indoor Fountain Pumps are great for dish gardens, tabletop fountains and other small water features. Fountain Pumps are fully submersible - except for Pump "B" which is mounted on the rim of your water feature. Pumps Are Safe, Reliable & Quiet. Require No Lubrication. Pumps Use Standard Household Current: 110-120 Volts with 2-Prong Cords - except "C" which is wired for Australian standards. CAUTION: Pumps should be used in an outlet protected by a ground circuit interrupter. PUMPS DO NOT INCLUDE TUBING. Click on FLEXIBLE TUBING below to order. 6 Watts. Max lift is 18". 4-1/2� cord. 2-3/8"x1-7/8" x3-3/4"H. Output tube swivels. Uses 1/2" I.D. flexible tubing. Mounts on rim of container. Warranted 1 yr.
Up to 52 GPH. Non-Adjustable. 4 Watts. Max. lift 2 Ft. 5� 3"L x 2"W x 2-3/4"H. Uses 3/8" I.D. Flexible Tubing. Warranted 1 yr. by Mfgr. 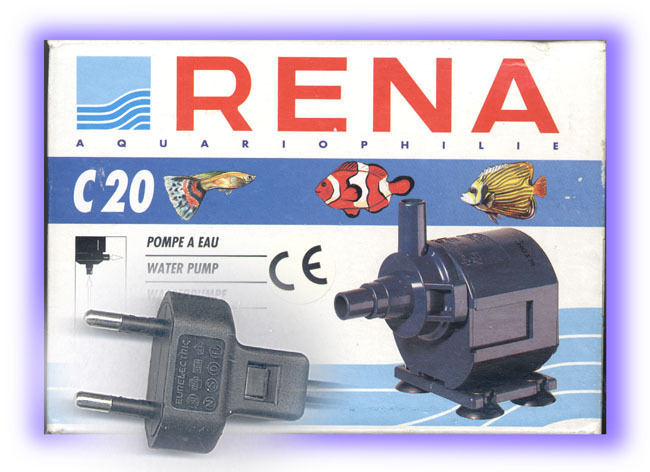 FOUNTAIN & AQUARIUM PUMP. Up to 126 GPH. 6 Watts. Max. lift is 18". 4-1/2� cord. 2-3/8" x 1-7/8" x 3-3/4"H. Output tube swivels. Uses 1/2" I.D. flexible tubing. Mounts on rim of container. Warranted 1yr. WIRED for AUSTRALIA Fountain Pump. INDOOR Only. Up to 52 GPH. Non-Adjustable Flow. 4 Watts. Max. lift 2 Ft. 5� 3"L x 2"W x 2-3/4"H. Uses 3/8" I.D. Flexible Tubing. Warranted 1 yr. by Mfgr.